The following incident took place on 19 April 2017, and was widely reported in Greece. This is basically how it was reported, for the most part. Read on however, because there is more to the story. 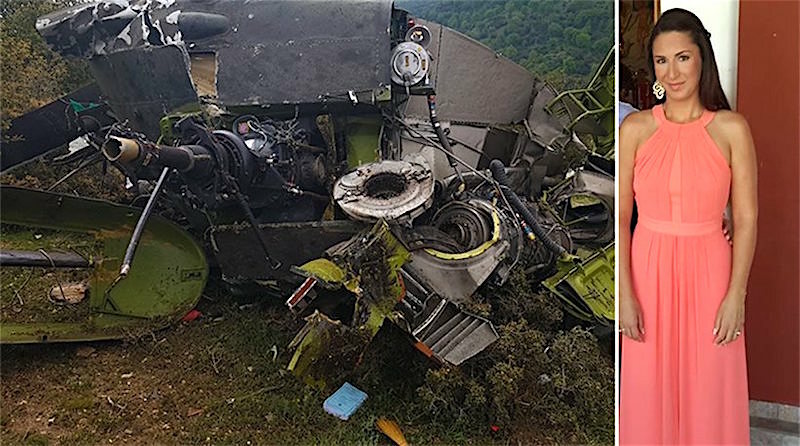 26 year old Sergeant Vasiliki Plexida was the survivor of the Greek Army helicopter crash in Sarantaporo that left four officers dead on Wednesday, and she recounted the cause of the accident. 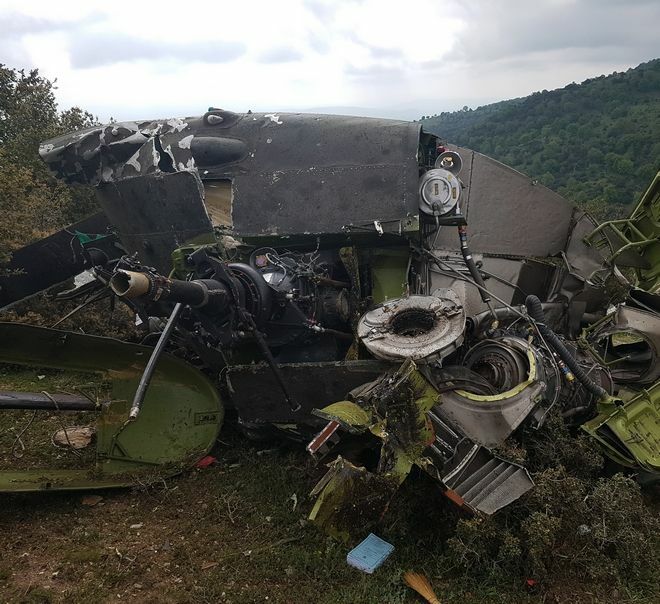 She was one of the five passengers of the fatal UH-1H crash and was hospitalized at the 424 Military Hospital in Thessaloniki. She suffered from a pelvis fracture and injuries to her hands, legs and neck. “We were flying low. We fell into fog, visibility was very limited, near zero,” were the first words the survivor told reporters. “The helicopter touched the cables of the PPC (Public Power Corporation) and lost its balance. Everything happened in fractions of a second. With the impact on the ground, I lost my senses,” Plexida said. “When I recovered my senses a while later, it was like waking up after a nightmare, but with unbearable pain throughout my body,” she recounted. Plexida recalled that she was fastened to her seat, which catapulted out of the helicopter the moment it hit the ground; this is probably what saved her life. According to an expert who spoke on Skai television, when the helicopter was tangled in the PPC cables, the oscillation might have caused the detachment of the seat. PPC workers who arrived first on the spot after a call that the power was cut in the area, said that they found Plexida standing and in a state of shock. The Ministry of Defense announced a three-day mourning for the loss of the four Greek Armed Forces officers. There is more to this story, however. 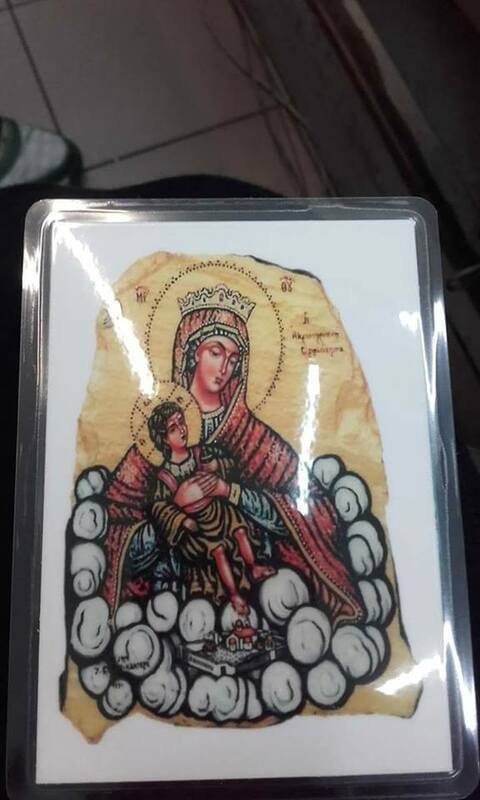 Close friends and family of Vasiliki (or Vicky), and Vasiliki herself has confirmed, that a miracle of the Virgin Mary took place that day. 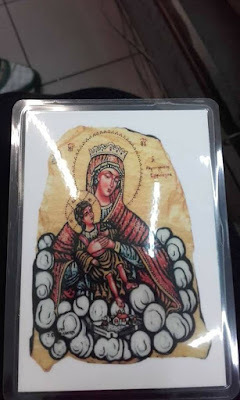 They spoke of her deep faith and her close relationship to the nuns of the Monastery of Panagia Evangelistria Akrotiriani in Serifos. It is even said that after this helicopter flight, she was gonna take leave and visit the nuns at the monastery. Nowadays, only our faith can save us!!! 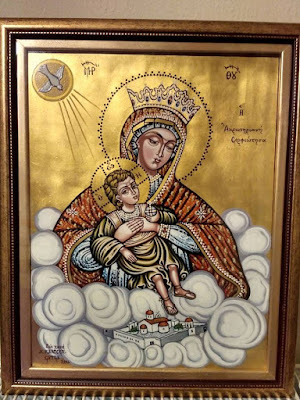 May God and the Panagia give strength to the world!!!! One clarfication I would like to make. This article was not written by me, but what is written is true. With the only difference that the eldress did not say the others would be killed. She just said, "I do not know what will happen with the rest." Everything took place as the nun said. 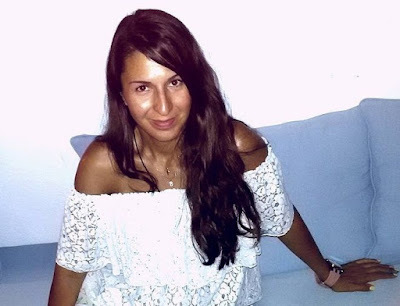 They found Vasiliki alone alive at the scene of the crash. Vasiliki said that as the helicopter was falling, a woman in red clothes appeared next to her. 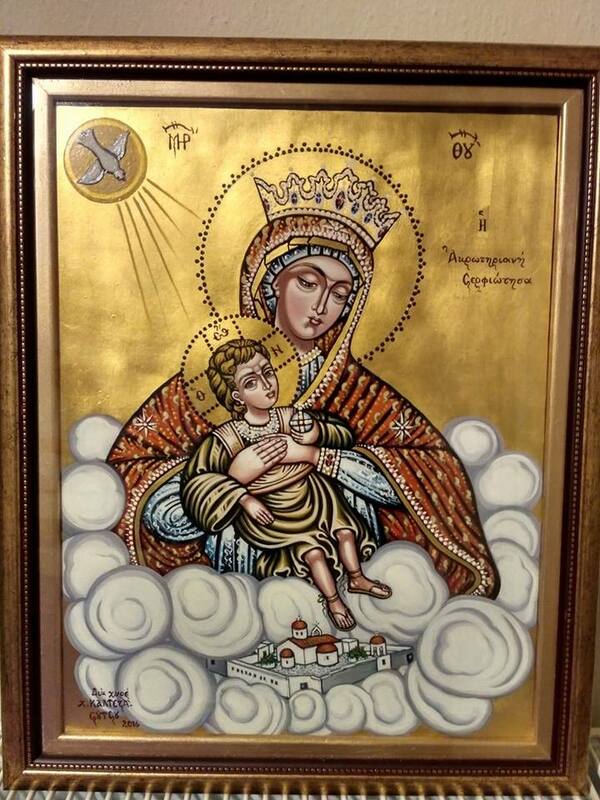 She interpreted this to be the Virgin Mary. Could this more accurately explain her survival of this dooming crash from which she technically should not have survived. The removal of the seat was done with surgical precision. A specialist in the army said that 1200 rivets hold it, and it would take days with tools to remove it. Not only that, but the seat landed 20 meters away from the crash, and landed on an oak tree. And when she landed, she was turned away from the debris of the crash, allowing her not to look. This is why she was able to remain calm and wait until they found her. The woman in red then told her: "The man coming is coming for you," then she left. It was an employee of PPC, who came to check why the power had gone out. Vasiliki reported that she felt warm and safe in the presence of the woman. When Vasiliki was in the hospital, the doctors said it would take months for her to recover. But the woman in red clothing appeared again to her and told her to not worry, because she was going to quickly recover. She was also told to spread the news in order to strengthen the faith of people in the world.